learn that South Korea purchased a massive supply of Viagra. reporters heard about Viagra in the air in the Irish Town of Cork. According to the report from 1998, some locals were annoyed by journalists who wrote that the chemical plant made area dogs horny. Others felt less welcoming toward the presence of big manufacturers. Martin O’Driscoll told the paper at the time, “Next they’ll be making artificial penises in this village,” which was a jab at the artificial limbs made at the Johnson and Johnson plant. But O’Driscoll also had some concerns about safety too, as he told the publication. RESIDENTS of a tiny Irish village where Viagra is manufactured have complained that fumes from a nearby factory have been giving them a hard time. Pharmaceutical firm Pfizer have produced the erectile dysfunction drug in Ringaskiddy, Co. Cork for the last two decades. Villagers claim that Ringaskiddy’s proximity to the plant and its “love fumes” has been giving local men – and even their canine friends – enormous sexual powers. Ms O’Grady’s mother, Sadie, said that living in Ringaskiddy is a blessing for men who suffer “problems in that department”, adding that there is “something in the air”. The widow added: “I’m a flirtatious woman, a lot of us are. You just have to have a spark, that’s all. There’s a lovely man waiting down the road for me”. Pfizer said in a statement that the stiff whiff was nothing more than an “amusing” myth, but there were no hard feelings. “Our manufacturing processes have always been highly sophisticated as well as highly regulated,” they said. Nevertheless, residents remain scared stiff that something more sinister is going on. Psychiatric nurse Fiona Toomey, who recently returned to the village after five years in America, said that local dogs “walk around in a state of sexual excitement”. “I think that Viagra must have got into the water supply,” she said. Chinese police are investigating if two distillers in the southwestern region of Guangxi added impotence treatment drug Viagra to their liquor in the latest food-safety scare in China. 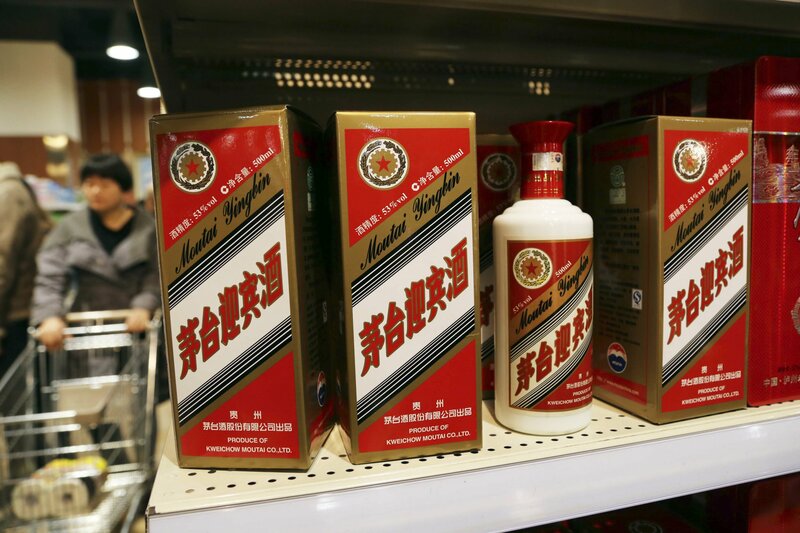 The Liuzhou Food and Drug Administration said that it found the Guikun Alcohol Plant and the Deshun Alcohol Plant in Guangxi’s Liuzhou city were putting Sildenafil, more commonly known as Viagra, into three of their baijiu products. Baijiu is a fiery grain liquor that commands high prices in China. Law enforcement officers have confiscated 5,357 bottles of the suspected products, 1,124 kg of raw alcohol and a batch of white powder labeled Sildenafil, in a case worth more than 700,000 yuan ($112,726), according to a statement posted by the Liuzhou Food and Drug Administration on its website on Saturday. The case has been transferred to the police, the statement said. The products were all marketed as having health-preserving qualities, it said. Food safety is a chronic problem in China and public anxiety over cases of fake or toxic food often spreads quickly. In June, state media said Chinese customs have seized around 3 billion yuan ($483 million) worth of smuggled meat, some more than 40 years old and rotting, the latest in a grim series of food safety scares. In 2013, Chinese police said they broken a crime ring that passed off more than $1 million in rat and small mammal meat as mutton. The office of embattled South Korean President Park Geun-hye has confirmed a mass-purchase of Viagra pills, but said the medication was intended to treat altitude sickness for the president and her staff. An opposition MP originally claimed that Park’s office had bought large quantities of the drug-which is usually associated with treating erectile dysfunction-after which ‘Viagra’ became the most-searched term online in South Korea, Reuters reported Wednesday. According to opposition MP Kim Sang-hee, the presidency purchased 364 pills in December 2015, including 60 blue Viagra pills and a generic version of the drug. Park’s spokesman Jung Youn-kuk confirmed the purchase but said that the pills had been purchased to treat altitude sickness for presidential staff during a trip in May to Ethiopia, Kenya and Uganda-the capital cities of which are all at high altitude. “We bought them, but they were left unused,” Jung told reporters. Researchers have previously claimed that Viagra can have a mild impact on treating severe altitude sickness. The drug relaxes blood vessels and allows blood to flow more freely, which can counter the effects of high altitude, where the lack of oxygen can cause vessels to constrict, particularly in the lungs. 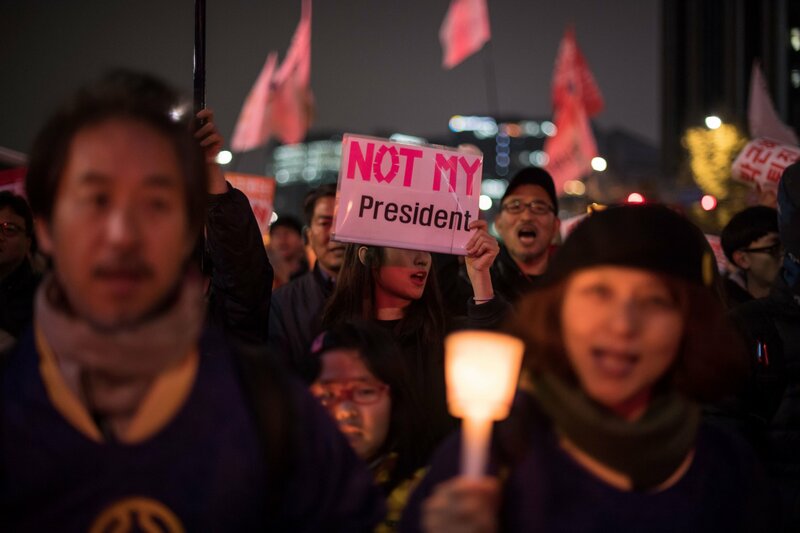 The issue comes on the back of widespread protests in South Korea calling for Park to step down after allegations that she allowed a close friend, Choi Soon-sil, to influence government affairs. Park has since publicly apologized for seeking Choi’s counsel, and offered to work with the parliamentary opposition to form a new cabinet, but opposition parties and some members of the government are reportedly preparing to try and impeach her. The window industry has known that the Low-E Energy Efficient Windows have caused fires. The industry AND the corporate government agencies have known! The Department of Energy promotes these windows. Who would imagine that a green energy code window specification can cause FIRES? The metallic oxide coating is designed to keep the suns heat from entering the home, commercial buildings, etc. There are MANY reports from consumers, for YEARS, that have told of their experiences of these windows causing fires. and mulch, set wooden fences on FIRE and burned up parked cars where the reflected window BEAMS hit. The reflected heat is magnified from the outside glass pane when the pane becomes concaved. When the Argon Gas leaks out past the seal this creates low pressure within the window. The absence of the gas between the double pane window allows the outside air pressure to bow the window inward creating a concave shape. The concaved condition creates an intense focused heat effect from the sunlight which can cause ignition. The reflected sunlight heat is beamed much like a magnifying glass and at the right distant point the beamed heat can cause ignition and FIRE. Focused heat creates the energy to ignite the exterior fuel. Remember, these Low E windows are supported by the Department of Energy just like the LED Toxic Light Bulbs . . .
TO DATE – Approximately 80% of current window replacement and rebuilding of structure/homes have installed these Low E Energy Efficient Windows. THERE IS NO MANUFACTURING RECALL . . . THESE WINDOWS REMAIN SPECIFIED IN THE NEW GREEN ENERGY CODES. What we know is these fires caused by these windows is not widely known, and we have no way of estimating how many fires these windows have ALREADY caused. Now that you have an understanding of these window “defects” we must spread this far and wide – Because NOW You KNOW . . .
Knowing this will make you a better neighbor! In order to comply with our “required” reduced energy consumption WE do NOT need to use these fire causing windows. Why would anyone, knowingly install these fire causing windows to reduce heat and energy costs? WHY? with safe windows and other energy savings such as roof materials, wall thickness, etc. The window specification is dependent upon the amount of window area. Ask about tempered glass on the exterior pane/outside pane which is rigid and less likely to bow. in Wildland areas, so we are told! Please consult with the window representative in your area. Note – One solution we noted was to place screens on the outside windows to prevent the heat and magnifying effect. remove the screens NOT realizing the possible fire effects discussed above. TO PREVENT POSSIBLE FIRE. .
Again we must ask – Why would anyone, knowingly install these fire causing windows to reduce heat and energy costs? WHY have PLANS, in all our communities, been adopted claiming that lowering consumption of energy will reduce climate change? These energy reducing plans have NOTHING to do with us altering the climate. Our government agencies actually have adopted plans, they say, will prevent our New Normal of Monster Weather Events. and CREATE MASSIVE WORLDWIDE DISRUPTION UNLIKE EVER BEFORE EXPERIENCED that WILL DESTROY EVERYTHING THAT IS GOOD AND DECENT. DESTROY EVERYTHING THAT IS GOOD AND DECENT . . .
Low E Energy Efficient Windows HAVE Caused Heat Reflections Creating Ignition and FIRE. Many cities are and have been HIT with weather weapons (Climate Control) and the rebuilding what was destroyed is now in process across the country, and throughout the world. Cities will use code enforcement requiring all existing buildings be retrofitted to meet your cities agreement to “reduce” green house gas emissions (GHG). and potentially red-tagged to ELIMINATE occupancy – unless the green energy code requirements are met. energy CODE upgrade retrofitting for OUR properties. So far, there have been a number of homes that have been foreclosed upon by the inability to pay these Rockefeller loans. These loans are collateralized against the property and supersede the first mortgage, if you have one. and YOU need to read and understand the fine print. THIS IS HOW WE LEARNED ABOUT THESE WINDOW CONDITIONS . . .
A family that lost their home in the TUBBS Fire in Santa Rosa, California, 10/8/2017, purchased a new home under construction and moved into their replacement home months after they lost their original home, and ALL their belongings, in the TUBBS Fire. Important to note what constitutes a Red Flag Fire Warning – low humidity, high heat and wind. They had an uncomfortable feeling during the FIRE WARNING and did not leave their house that day. A neighboring unoccupied house had caught fire! under the deck and fire was under the house. The fire department pulled off the wood siding and put the fire out. THE FIRE WAS OUT – HOWEVER, NO ONE KNEW WHAT THE CAUSE OF THE FIRE WAS AT THE TIME. It was days later that the Low-E Windows started to create black burn spots on the newly replaced material in that same back yard. This family almost LOST a second home to FIRE! This WARNING Serves as a Caution to ALL! LONDON – A London skyscraper that drew ire for having a glare so strong it melted nearby cars and shops will get a permanent fix. The offending tower – known as the Walkie-Talkie for its curved, bulging shape – is to have a sunshade attached to its south-facing facade to stop the concave surface from reflecting sunlight and beaming concentrated rays to a nearby street, developers said Thursday. The 37-story building made headlines in September when a Jaguar owner who parked his car at its foot complained that the solar glare melted part of the vehicle. Local shopkeepers also said the beams – dubbed “death rays” by the British press – blistered paintwork and burnt a hole in a floor mat during the hottest parts of the day. Developers Land Securities and Canary Wharf had put up a dark netted screen as a temporary measure. They now say they have received permission to erect a permanent sunshade of horizontal aluminum fins, which they say will solve the problem by absorbing and diffusing sunlight. It wasn’t the first time that the skyscraper, designed by architect Rafael Vinoly and officially known as 20 Fenchurch Street, attracted controversy. Even before it was built, UNESCO, the United Nations heritage body, complained that tall buildings like it would negatively impact the historic Tower of London nearby. The statistics are rolling in on increasing rates of strokes in younger people. No one will tell the millennials their fast food diets “equate” to the fast uploads they demand from computers which are impacting their health – both a slow kill. The USA, Inc. corporate food containing flour, sugar and chemical additives IS intended to cause obesity, sluggishness, foggy thinking, and create disease, shorter life spans, and death. No one will admit that the millennials were orphaned by parents too busy working to take care of them. Overly worked parents relied on quick fast food to feed their children and school cafeterias to serve up lunch – a variety of deficient processed foods. No one will tell millennials that the vaccinations given to them slowly stroked them out with each vaccine they were jabbed with. Many dead doctors have been sounding the alarm and have paid the price for attempting to expose the medical fraudsters falsifying the vaccine records that the CDC and WHO were promoting. No one will tell millennials the wireless technologies they use are activating dormant vaccine viruses that cause immune deficiencies and strokes intended to be another slow method of health decline. We also need to ask how many millennials are targeted individuals? How many millennials are being shot with directed energy weapons, gang stalked and assassinated? Stroked out with DEW’s! How many millennials have wireless phones, lap tops, and sit for hours gaming where cell connections are facilitated with WiFi? Scientific studies document the damage to human DNA from the wireless world we now live in that has greatly impacted the millennials. No one will discuss the health effects of the continual aerosol spraying programs (chemtrails) and how we are all dying younger. Many of the millennials are compromised with weakened immune systems and have been deceived and setup for these health consequences. The bigger question is WHY are the doctors surprised? Why are the doctors saying the reasons for these trends are not entirely clear? REALLY? The questions are how long are we going to continue to be KILLED by all the assaults of the illegitimate corporate depoplulation agendas of a government that exists in NAME ONLY? Our government is a network of corporations that has long advanced policies designed to determine the minimum and optimum levels of destruction of Life, Property and Natural Resources. All of these goals have been incrementally advanced as to not create a crisis in public confidence. So, why should the increase strokes in millennials ages 18-34 years of age come as an ALARM? Harvard is part of the Establishment run directly by the Cabal. This is land theft and creating the illusion that water is being bought up by these schemes. Of course, we have Primary Water and Harvard is NOT buying up the water in all of California, only on the land they own or are purchasing. Harvard is buying land, and water comes with land. Again, the idea that Harvard is acquiring California’s water supply would pertain directly to the land they own or are purchasing, and NOT California’s water supply. This story is to further create the illusion we are running out of water, and to advance the urgency to build MORE sewer/urine waste water treatment plants to poison us through the municipal water delivery systems. FIRES RAGE – in The Land Down Under . . . is Queensland Targeted with DEW’s? FIRES RAGE – in The Land Down Under . . .
is Queensland Targeted with DEW’s? Climate Change “IS” Weather Control . . . and their plans forewarned of the different weaponized weather attacks that will be used. monitoring attained a combined rating of 7 or more. All critical risks have been detailed to identify their risk attributes, stakeholders, recommended adaptation measures and next steps. Residents in parts of central Queensland are again being told to leave immediately as bushfires flare up in Winfield and Captain Creek as well as Broken River west of Mackay. They are saying that conditions are extreme, not catastrophic. And the winds are picking up this afternoon which is why we have lot more spot fires at this point. We have spoken with the Fire Brigade, they say the fires yesterday near Gladstone, there were flames up to 20m high, and some residents who look like they have lost a bit of property have said it was like tornado winds, so extremely frightening in that area. So while there is some relief today and round here at headquarters, there are few smiles on people’s faces at this point. They say it is still dangerous and people have to be on extreme alert. People I’ve spoken to describe the terrifying scene as the fire storm approached yesterday. They are counting their blessings today that no properties were damaged. Following on from what Lexy has said, I am outside Gracemere, next to Kabra and the latest advice for the Kabra fire, formerly the Gracemere fire, is for residents to prepare to leave. The latest information is firefighters are battling the fire on several fronts, in the process of putting in firebreaks to protect homes. Some homes are threatened by the fire at Kabra and in surrounding areas. I am outside the Kabra pub where a staging post has been set up by firefighters as they monitor the fire ground and send resources. Water bombers are in the air this afternoon helping firefighters on the ground to try to get on top of the blaze. Certainly it is a changing situation minute by minute and the latest information for the Kabra fire is for residents to prepare to leave with the fire threatening homes. This disclosure is in the wake of intentional worldwide weather attacks and is a cover-up for intensified warcrimes called Climate Change. Climate Change IS Climate Control. We have known that geoengineering IS the deliberate large–scale manipulation of the Earth’s climate! These facts can no longer be hidden and can no longer be denied. We have known for decades that governments and militaries have waged wars upon the global populations profiting from the on going weaponized weather attacks and profiting from all the death and destruction of the ecosystems. We have known, and NOW we are finally being told that climate crimes WILL be committed – for our safety – to curb global warming! NEW YORK – A fleet of 100 planes making 4,000 worldwide missions per year could help save the world from climate change. Also, it may be relatively cheap. That’s the conclusion of a new peer-reviewed study in Environmental Research Letters. It’s the stuff of science fiction. Planes spraying tiny sulphate particulates into the lower stratosphere, around 60,000 feet up. The idea is to help shield the Earth from just enough sunlight to help keep temperatures low. The second-largest volcanic eruption of this century, and by far the largest eruption to affect a densely populated area, occurred at Mount Pinatubo in the Philippines on June 15, 1991. In total, the eruption injected 20 million tons of sulfur dioxide aerosols into the stratosphere. USGS said the Earth’s lower atmosphere temperature dropped by approximately 1-degree Fahrenheit. The effect only lasted a couple of years because the sulfates eventually fell to Earth. Although controversial, some think that trying to mimic the impacts of a volcano eruption is a viable way to control global warming. This proposed type of climate geoengineering is called stratospheric aerosol injection (SAI). Theoretically if done at scale – and sustained – the impact can be large. The 1-degree temperature drop which accompanied Mount Pinatubo’s eruption is equal to about half of the human-caused warming Earth has experienced since the Industrial Revolution began. In this handout photo from Climate Central, they say scientists are looking at a variety of technologies – from snatching carbon dioxide out of the air like trees do, to launching giant mirrors into space – to artificially slow global warming. So, the team investigated what it would cost to develop an aircraft they dub the SAI Lofter (SAIL). They say its fuselage would have a stubby design and the wing area – as well as the thrust – would need to be twice as large. In total, the team estimates the development cost for the airframe to be $2 billion and $350 million to modify existing engines. In other words, the atmosphere is complex. Any band-aid fix is bound to have unintended consequences and possibly cause a new set of problems. The AMS goes on to say results of reflecting sunlight “would almost certainly not be the same for all nations and peoples, thus raising legal, ethical, diplomatic and national security concerns.” One region may become a desert, while others become flooded out. But perhaps the greatest reason to be skeptical of aerosol solar sunlight management is that it’s not a silver bullet. As carbon dioxide continues to increase, the oceans are becoming increasingly acidic. According to NOAA, ocean acidification can cascade through the ocean food chain, reducing the ability of shell fish and reef-building corals to produce their skeletons. Injecting aerosols into the stratosphere simply limits sunshine, it does not tackle the underlying carbon dioxide build up. The ocean would continue to acidify. Despite the potential drawbacks, the AMS does recognize – even with aggressive mitigation – we can’t avoid some dangerous consequences of climate changealready baked into the system. Plus, the scale of human adaptation is limited. Therefore, they urge caution and continued research. While you will read this as a United States Plan – it is a Worldwide plan of death by Water Deception! this memorandum is NOT at all what the title implies. We are being told that Decades of uncoordinated, piece meal regulatory actions have diminished the ability of our Federal infrastructure to deliver water in an efficient, cost-effective way. Ok – Lets break this down. The Secretary of the Interior and Secretary of Commerce are to be provided with proposals reducing and streamlining regulations and procedures that burden the water infrastructure challenges in the western United States. “Burden” means to unnecessarily obstruct, delay, curtail, impede or otherwise impose significant costs on the permitting, utilization, transmission, delivery, or supply of water resources and infrastructure. NOTE: Why the memorandum deadline rush by 1/31/2019, today being 10/19/2018? While this rush may sound like action is finally being taken you will learn that the actions are aimed at serving up toxic water to the public, fish and all else whose survival depends on water, and throwing unimaginable sums of money at these killer water DEPLOYMENTS using sewer wastewater treatment and water desalination. WE ARE BEING TRICKED by NOT reading and understanding what the CEO of USA, Inc. is really saying. The Chair of the Council on Environmental Quality and the Executive Office of the President shall be given regular updates from the Secretary of the Interior and the Secretary of Commerce on the PROGRESS of MONITORING WATER SUPPLIES and ADVANCING WATER DELIVERIES, rapidly. The president, also, wants improved weather research and forecasting of water availability. Really? Do you think he does NOT know about the Geoengineering OPERATION which is the deliberate large-scale manipulation of the Earth’s climate? He Knows! The memorandum requires water experts and resource managers to develop an action plan related to water availability and water infrastructure projects. NO MENTION OF PRIMARY WATER – which is a clean renewable God given water resource. Please watch the YouTube video “Primary Water Explained”, and maybe the president needs to watch this, too. He must know about Primary Water. After all USA, Inc. and NATO blew up the Great Man-made River Project in Libya, the 8th Wonder of the WORLD, which delivered primary water to many people in Libya, for free! The CEO of USA, Inc. memorandum wants improved use of technology to INCREASE water reliability to the maximum extent possible by using reclaimed, recycled SEWER water for drinking along with expensive desalination projects where the sludge will create hazardous environmental ramifications. Further, investments ($$$) are to be made to rapidly deliver sewer water and to REDUCE regulatory burdens to enable broader scales of deployment of the toxic water to ALL. Investments are to be made in “water management” by using real-time, all the time water monitoring of “wildlife” and water deliveries where every drop of water extracted will be monitored. This monitoring requirement is the (AMI) Advanced Metering Infracturce, aka, Wireless SMART Meters. These wireless water meters will further add another layer of frequencies of death in all our communities. Also, these meters will track and limit water consumption based upon restrictions imposed in ground water allotment and usage schemes. See (c) of the memorandum for the wildlife quote above. You may wonder why monitoring wildlife would be included in the memorandum. We will leave that up to you to consider. As outlined in the memorandum these NEW speedy policies to promote reliable water supplies and monitored deliveries to Amerika WEST is clearly centralized privatization of all water resources, and the poisoning of drinking water through technologies that are designed to cause sickness and death! So, when you read in the memorandum, “work together to minimize unnecessary regulatory burdens and foster more efficient decision-making so that water projects are better able to meet the demands of their authorized purposes” – think about it! What are their authorized purposes? Reducing the population, by imposing water technologies that are TOXIC, COSTLY and DEADLY? Remember, treated sewer wastewater contains contaminants of emerging concern and known pharmaceutical poisons. “I HOPE YOU ENJOY THE WATER THAT YOU’RE GOING TO HAVE”. We have available to us safe, pure, clean and renewable water, called Primary Water. Learn more – go to: PrimaryWater.org and listen to the video Primary Water Explained. What you will read below is NOT the entire memorandum – only an excerpt. Please click on the link above.